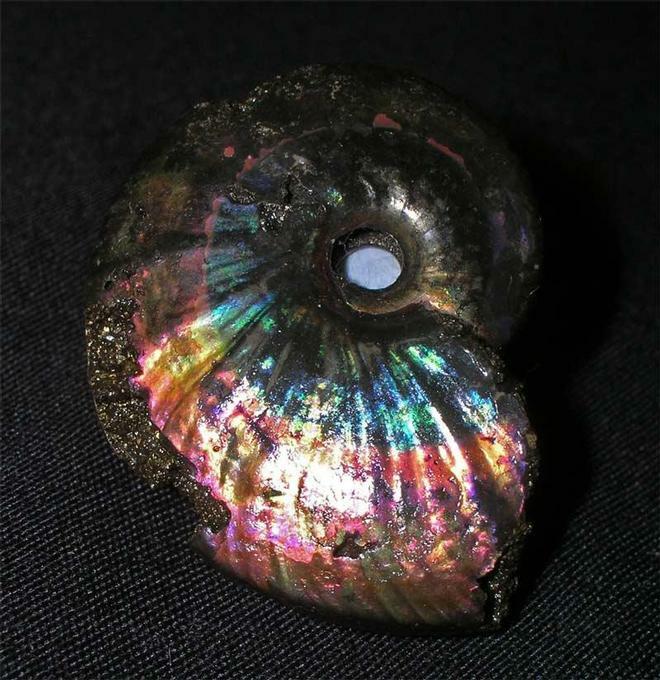 We at Fossils Direct strive to give our customers new and old, some of the best fossils obtainable from the United Kingdom. 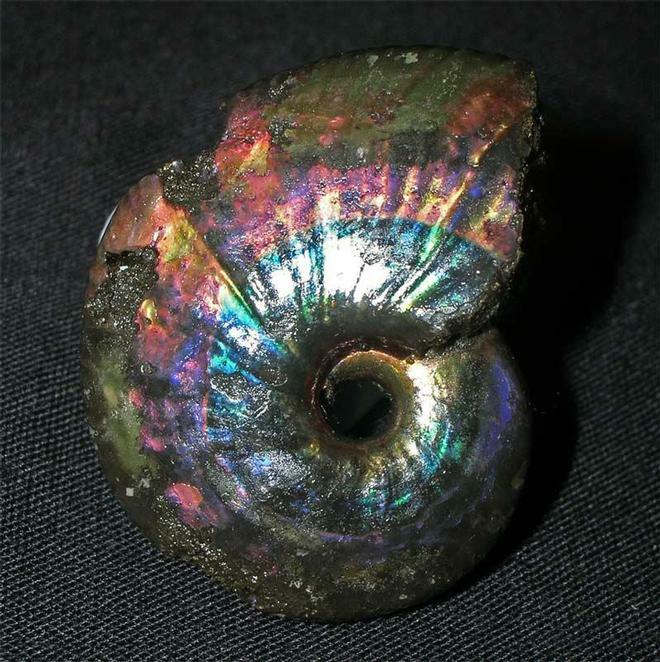 Although this is not a complete specimen as the centre is missing, as well as part of the keel, but we thought for the beauty of what is remaining, it is a worthy addition to a collection. 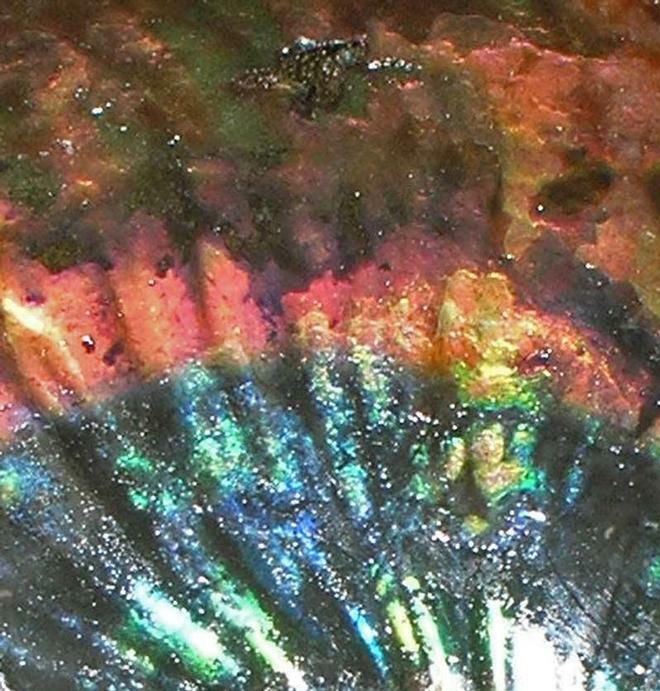 The colour of this ammonite is simply extraordinary, ranging from deep blue to vivid red with flashes of yellow, gold and green. 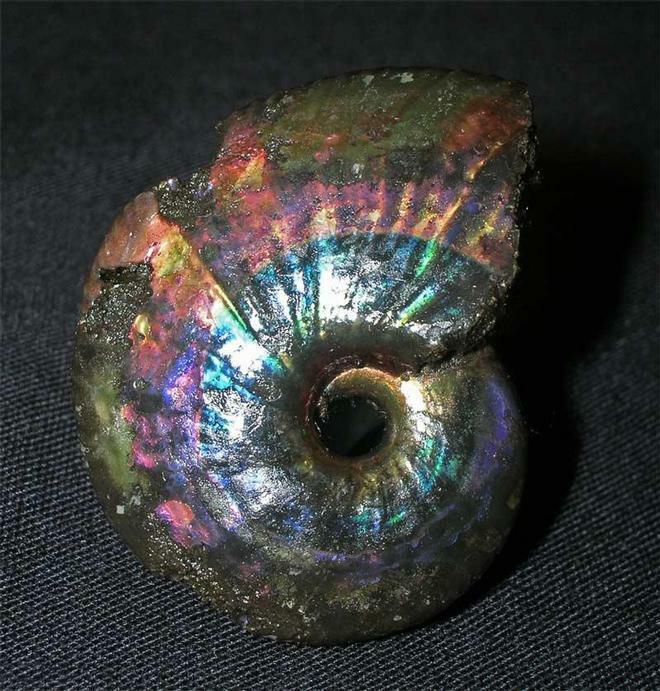 It resembles the finest black opals that can be found. It is a little gem! !